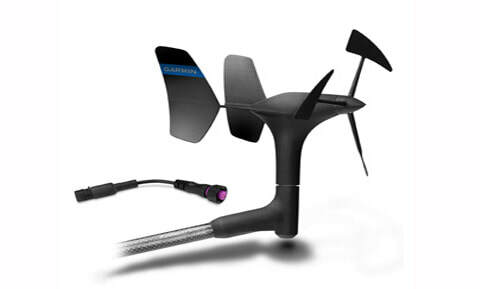 The gWind transducer features twin-fin technology with 3-bladed propeller for more accurate TWS in lighter air while the twin-fin design gives a more stable TWA. Three-bladed propeller for more accurate True Wind Speed (TWS) in lighter air. Twin-fin design gives a more stable True Wind Angle (TWA). Easy plug-and-play installation between Nexus, Garmin chartplotters, NMEA 2000 and USBThe gWind transducer features twin-fin technology with 3-bladed propeller for more accurate TWS in lighter air while the twin-fin design gives a more stable TWA. The 3-bladed propeller, unlike a cups design, is always efficient. Combined with optic reading this transducer provides superior accuracy at low wind speeds and also provides for excellent linearity.